Any fruit lover will love the Tropical Fruit basket with 18 fresh fruits chosen among the freshest and best available. 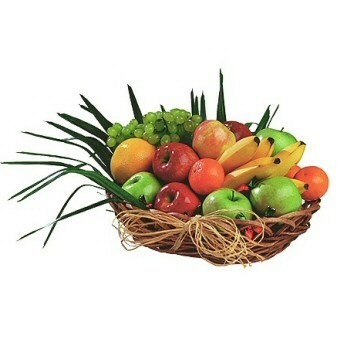 Superb collection of the finest fruits of the season presented in a wicker basket, 18 fresh fruits chosen among the freshest and best available. This fruit hamper is an excellent 'get well gift' to someone you know is recovering from an illness in Brazil.